Join the Lundquist College of Business for a special opportunity to learn and interact with industry leaders. A pre-symposium reception is available for Lundquist College of Business students. Students will get to dive into conversations about strategy and values with the symposium panelists and executives from sich companies as Columbia Sportswear Company, Burley Design, RAIN Eugene Accelerator, Springfield Creamery/Nancy’s Probiotics, Papé Group, Housing Capital Company, Fred Meyer, Friends of Laguna Honda, and Deloitte Services, LLP. Seating is limited and is by invitation only. To request your invitation to the pre-symposium reception, please complete a short application form at https://uobiz.co/pre-oasl. Application is due by 11:59 p.m., May 15, and is open to all Lundquist graduate and undergraduate students only. Jordan Papé is CEO of Papé Group, the West’s premier provider of capital equipment needs to the construction, forestry, agriculture, warehousing, material handling, and trucking industries. Previously, Papé was president of Flightcraft, which was sold to Atlantic Aviation Services. A fourth generation, family-owned business, Papé Group is a network of seven companies with more than 85 locations in Oregon, Washington, California, Nevada, Idaho, Montana, and Alaska. Papé Group is one of the largest privately held companies based in Oregon. Liz Forkin Bohannon is the founder and CEO of Sseko Designs. Sseko Designs is an ethical fashion brand that works to educate and empower women. By providing employment and educational opportunities, Sseko enables women to continue their education and become leaders in their country. Bohannon graduated from the University of Missouri with a master’s degree in journalism. She moved to Uganda with the hope of becoming a human rights journalist. While there, she met an incredible group of talented young women who were struggling to finance their education. After traveling the country by motorcycle to find raw materials and learn how to produce footwear by hand, Bohannon hired three young women and started Sseko Designs. Sseko has grown from three women making sandals together under a mango tree, to an international fashion brand that provides employment, educational opportunities, and entrepreneurial training to hundreds of women in Uganda and the United States. The Sseko story has been featured in dozens of publications, including Vogue, Redbook, O Magazine, Inc., Fortune, and others. Sseko has also appeared on national broadcasts, including ABC's Shark Tank and Good Morning America. Bohannon was also recently named a top three Transformation Leader by John Maxwell, Forbes listed her as a top 20 public speaker, and Bloomberg Businessweek named her as top social entrepreneur to watch. She lives in Portland, Oregon, where she runs Sseko and raises her toddler son Theo with her husband and company cofounder Ben. Scott Kerslake is CEO of Nixon, a California-based watch and accessory brand. Prior to Nixon, Kerslake served as CEO of prAna Living, an active-apparel company known for its sustainability efforts and values-based approach. prAna was the first U.S. apparel company to become Fair Trade Certified. Prior to prAna, Kerslake was president of Miraval Life in Balance, which has been consistently ranked as one of the world’s top destination spas and resorts in the world by Travel + Leisure, SpaFinder, and Condé Nast Traveler. Kerslake also founded and was chairman and CEO of Athleta Corporation, widely recognized as one of the premier brands in the women’s sports and active markets. He is currently a board member of Spirit Rock Meditation Center and recently completed board terms at three organizations with broader social missions: The Stanford Center on Longevity, Insight Prison Project, and Outdoor Industry Association. Kerslake was named the James F. and Shirley J. Rippey Professor of Practice in 2016. Rick Miller is a seventh generation Oregonian committed to starting and growing businesses. 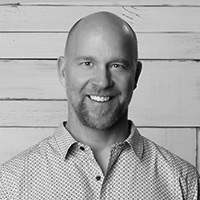 In 2010, Miller cofounded the private equity firm Rogue Venture Partners to provide other entrepreneurs in Oregon with funding and mentorship. Miller is also the founder and chairman of the Avamere Group, one of the Northwest's largest senior care and housing providers. He serves on the boards of Portland State University (Chair), the Oregon Investment Council, Diabetomics, Payless Pharmacy, Golden Leaf Holdings, and NemaMetrix. He is past chairman of the American Health Care Organization, the Oregon Health Care Association, and the Portland-based chapter of the Young Presidents’ Organization. Miller was recognized in Portland Business Journal’s “Forty Under 40” in 2004, and his company has repeatedly been selected in the publication’s list of “Oregon’s Most Admired Companies.” Miller was honored as the 2012 Distinguished Graduate Alumnus by the Portland State University School of Business Administration, and he and his wife Erika are recent recipients of the Simon Benson Award for philanthropy. Miller earned his bachelor’s degree in marketing and management from the University of Oregon, his MBA in 1991 from Portland State, and an Honorary Graduate certificate from University of Oregon in 2014. 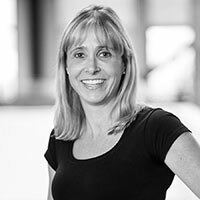 Sabrina Parsons assumed the CEO role at Palo Alto Software in May 2007 and is responsible for Palo Alto's business planning, fiscal and strategic goals, and all of the company's traditional marketing. Palo Alto Software develops best-selling business management software LivePlan, as well as software and tools specifically targeted for entrepreneurs and small-business owners. Parsons began her career with the marketing team at EnCommerce and CommTouch Ltd., an email services company. Subsequently, she helped start Epinions.com, which was bought by Shopping.com and later by eBay. 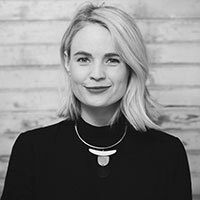 Later, she founded a London-based software distribution company that she sold to Palo Alto Software, joining its headquarters in Eugene, Oregon as the head of marketing and communications. She is also the author of the popular blog Mommy CEO, and writes for Inc, Entrepreneur, Business Insider, Huffington Post, and Bplans.com. 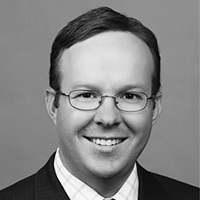 Parsons serves on the boards of Princeton’s Entrepreneur’s Network, RAIN Eugene Accelerator, the Oregon Community Foundation, and the Oregon Growth Board. She is a graduate of Princeton University. A former NFL player turned entrepreneur, management consultant, and media executive, Damian Vaughn works as a business strategist, leadership advisor, and executive educator inspired by the drive to create sustainable value for an organization's shareholders, employees, customers, and greater society. As an entrepreneur, Vaughn founded and served as president of a natural stone countertop and tile manufacturing company, as well as a stone import, distribution, and wholesale business. 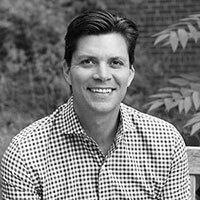 He has also served as head of organization development for Fox International Channels and Fox Sports Media Group, as well as senior vice president of human resources and organization development for HBO Latin America. 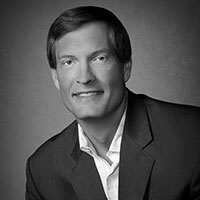 He has coached senior executives in media, entertainment, technology, hospitality, and finance industries, as well as elite athletes in the NFL, MLB, NHL, and Olympics. Vaughn was the recipient of the NFL Player Networking Event’s Crystal Award for Excellence during Super Bowl XLIX for his work in career transition practice and study. Born and raised in Eugene, Randy Papé earned a bachelor’s degree in business, finance, and accounting from the University of Oregon in 1972. He became president and CEO of Papé Bros., Inc. in 1981, expanding the company to become The Papé Group Inc., one of the largest privately held corporations based in Oregon. He led the company until his passing in 2008. Papé was also founder, chairman, and CEO of Liberty Financial Group, whose businesses included Commercial Equipment Lease Corp. (started by Papé as a business class project at University of Oregon), Liberty Bank (founded by Papé with four others in the 1970’s), and SaniPac (the largest garbage hauler in Lane County). He also served as president of Mt. Bachelor from 1998–2001, a company in which the Papé family owned a major interest. Papé was an active supporter of several nonprofit organizations. He served as a board member of the Nature Conservancy of Oregon and the Oregon Trail Council of Boy Scouts and chaired the United Way of Lane County campaign. He was also a trustee of the University of Oregon Foundation and served as board president in 2000–2001. Papé chaired UO’s capital campaign Transforming Lives from 2000–2008, which exceeded all expectations by raising $854 million. The University of Oregon honored Papé with its highest honor, a Pioneer Award, in 2005. 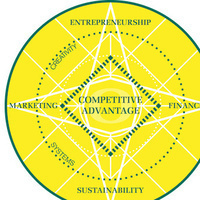 Oregon Advanced Strategy and Leadership brings together, in a cross-disciplinary way, the business domains of finance, sustainability, entrepreneurship, and sports business into a holistic framework. Oregon Advanced Strategy and Leadership concepts and strategies resonate best with the c-suite and the boardroom, grooming the next generation of effective CEOs. Oregon Advanced Strategy and Leadership is the manifestation of intent of the Professor of Practice designation at the University of Oregon and demonstrates how such professorships bring value to students and the institution. Michael Crooke, the University of Oregon’s first Professor of Practice, created the Oregon Advanced Strategy and Leadership framework. The Oregon MBA program offers a specialization in Advanced Strategy and Leadership. Very open and honest dialogue about business and integrity. I enjoyed it very much. It was a lively conversation on very important topics. The honesty and levity from most of the panelists was very refreshing and had me hanging on their very open vulnerable words. There is a tendency within human nature to self aggrandize and tell a crowd what one thinks the crowd wants to hear. The sort of honest discussions that took place at this event I believe is needed more at our academic institutions.